I am a MASSIVE LOSER!!! 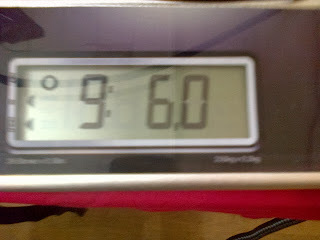 9st 6lbs- a loss of 2.5lbs this week and a grand total of 9lbs in 7 weeks!!! I think that the last couple of weeks have finally caught up with me and thats why such a great loss showed up at this weeks weigh in and I am absolutely over the moon!!! Following a fab week, its all finally paid off and I have a loss to be proud of. Moving on from here... I am having a 4 day weekend in Brussels as of 6am tomorrow and a Belgian waffle alone is 38 syns, then there's the hot chocolate, and the mulled wine, and the frites. Well. I'll update with the damage upon my return.